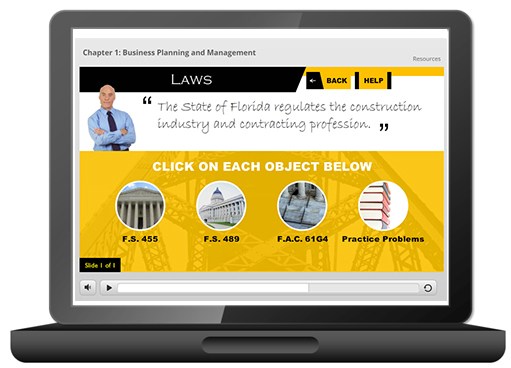 This self-paced, 1-hour course is designed to help the practicing construction professional (including building code administrators, building inspectors, architects, and interior designers) to understand the more important Florida contracting laws, such as F.S. 489 and F.A.C. 61G4. This course meets the 1-hour Laws and Rules CE requirement necessary for CILB licensees for license renewal.